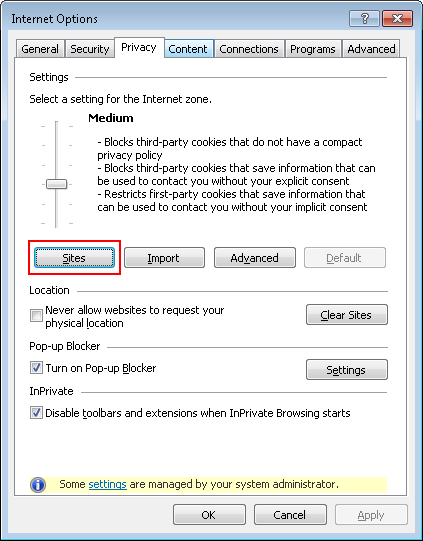 Click on → Internet options → Privacy. In the Settings block, move the slider to the bottom position, and then click ОК. 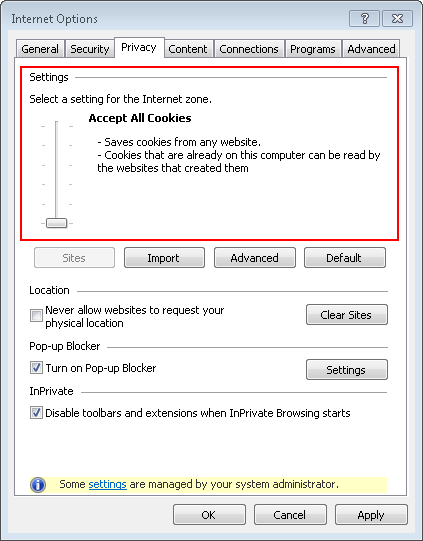 Specify the website address and click either Block or Allow, then click ОК. Note. 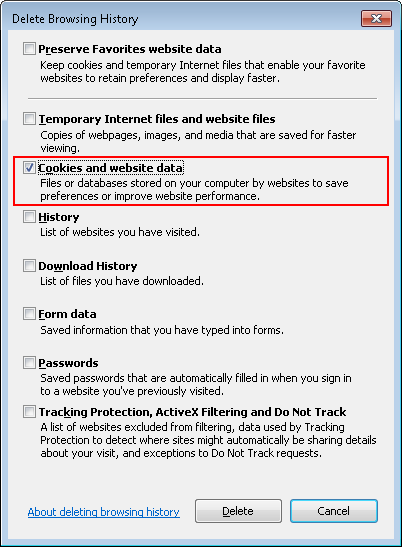 To restore the original settings for how your browser handles cookies, click on the Default button, then click ОК. 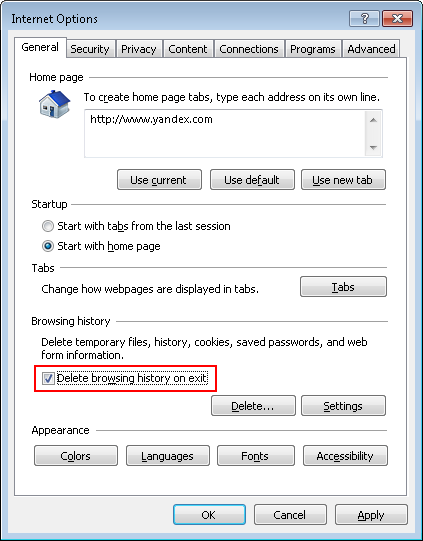 In the Delete Browsing History window, enable the Cookies and website data option. Make sure that all the other options are disabled.